So after making the wagon into more of a track car it seems the pendulum is going to swing back towards what the car originally was which was an excellent daily driver that I put 500 miles on a week at times. The 9k/8k springs are a little too rough for our horrible Michigan roads and not having AC is awful when temperatures get over 85. 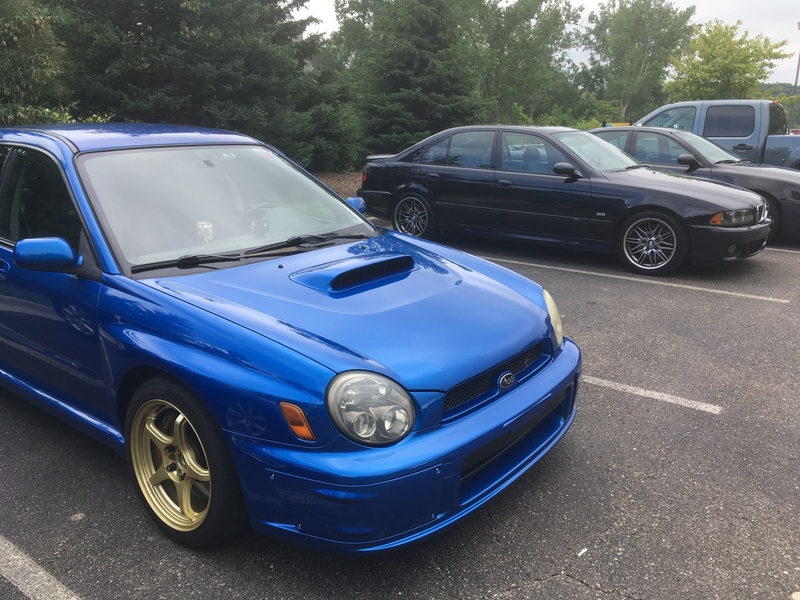 I drove the Wrx for a few days in a row and really enjoy how it drives except for the lack of interior / loudness , perhaps its just me getting old but I am becoming more and more interested in making my Wrx into a copy of the Stubaru. The Stubaru was a local 2004 STi that was exceptionally well built making over 400hp from a custom Garret 3076 while looking like just another stock STi. Not only was it fast and track ready due to the proper application of sound deadening the car was insanely quiet. You only realized that you were in a highly modified car when the turbo spooled and threw you back into the seat lighting up the tires while going into 2nd gear. The car went on to make over 500whp on E85 from that stock location 3076 and impressed everyone who laid hands on it. No one knows where the car ended up as it has switched hands a few times in the last couple of years but it was one of the best Subaru’s in metro Detroit. Over the next year I plan on transforming the car from more of a weekend track car to an all around performer like the Stubaru. Spring rates are going to change along with a quieter exhaust and sound deadening to make the Wrx into a track ready summer daily driver. I am still going to keep the Legacy to drive during winter and on days I don’t feel like driving a manual. The end goal is a car that still weights under 3200 pounds yet is track capable , quiet on the street and enjoyable to drive to work. I also want to start saving for some sort of BMW M car or a Porsche , ideally a Cayman S or E39 M5.